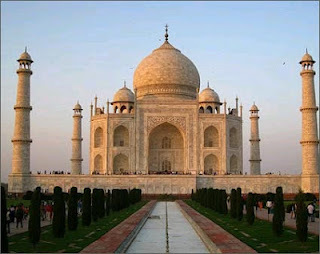 CHROMA RING: Is Taj Mahal a Hindu Temple? Prof. P.N. Oak have provided evidences that Taj Mahal was a Hindu temple. In his book, Taj Mahal - The True Story, Prof. Oak refers Taj as a temple of Lord Shiva. He says that the word "Mahal", has never been used in any Muslim countries.European travels like Johan Albert, Peter Mundy have visited Agra during 1638 and had not made reference to the Taj Mahal. He adds that the name Tejo Mahalaya ( Lord Shiva's Palace) is corrupted to Taj Mahal.